An assistant professor at the University of Montana will receive $800,000 over the next five years to study small populations of trout and whether gene rescue works as a tool for conservation. 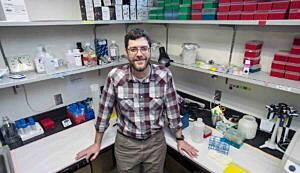 Andrew Whiteley, an assistant professor at UM, was awarded a CAREER grant by the National Science Foundation to complete the work. The grant represents the most prestigious award offered to junior faculty and is limited to a handful of assistant professors each year. Tom DeLuca, dean of the W.A. Franke College of Forestry and Conservation at UM, said the award is well deserved. He called Whiteley a rising star in the university’s nation-leading conservation program. Whiteley and his graduate students will relocate a small number of trout among isolated natural populations to understand the effects of gene exchange. Although conservationists have been interested in strategically relocating plants and animals to help save isolated populations from extinction, some have expressed concerns over potential consequences, which have limited the tool’s application. Whiteley said the research will apply educational tools to increase undergraduates’ knowledge of conservation biology and genetics. He will also partner with Libby Metcalf and the spectrUM Broader Impacts Group on campus to bring aspects of his research program to rural Montana middle school students. The Faculty Early Career Development award, also known as a CAREER grant, is rewarded annually to faculty who exemplify the role of teacher-scholar through outstanding research, excellent education and the integration of both education and research. Each year, between 350 and 400 assistant professors nationally earn CAREER grants, which generally range from $400,000 to $1 million over five years.